Why do the stars twinkle at night? 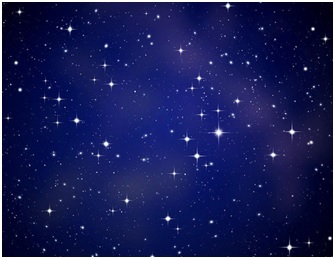 In this article you will get to know the reason behind the twinkling of stars. Q. Why do the stars twinkle at night? Ans. It’s the atmospheric refraction due to which the starlight gets bent towards the normal when it passes through the dense atmosphere. This process of atmospheric refraction continues until the starlight reaches the earth, making the apparent position of the star slightly different from its actual position. But since the density of the atmosphere is not the same everywhere so the extent of refraction keeps on changing. Stars being far away from the earth look like point sized objects and as the path of light coming from them keeps on changing so their apparent position also keeps on fluctuating due to which the stars sometimes appear brighter and at times fainter. This phenomenon makes the stars look like they are twinkling. Previous Article Why are raindrops spherical in shape? Next Article Why do the fans have curved blades?